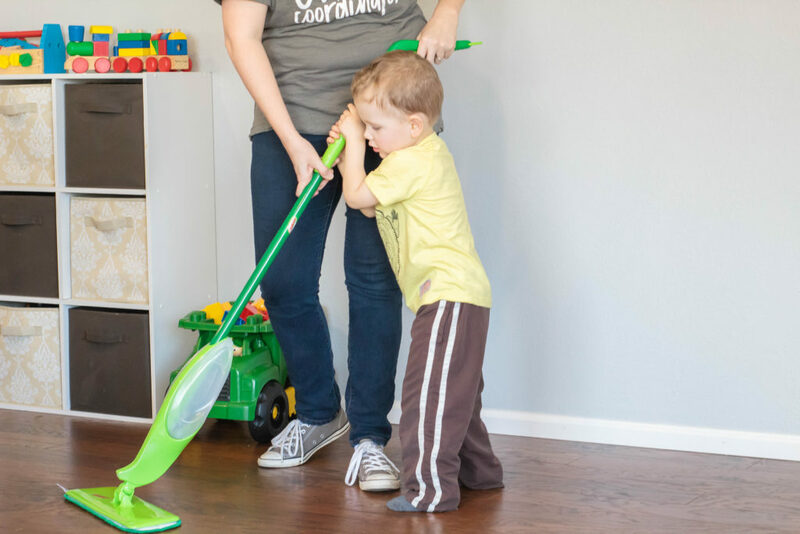 I am a huge, huge, HUGE advocate of getting kiddos used to doing chores at a young age. 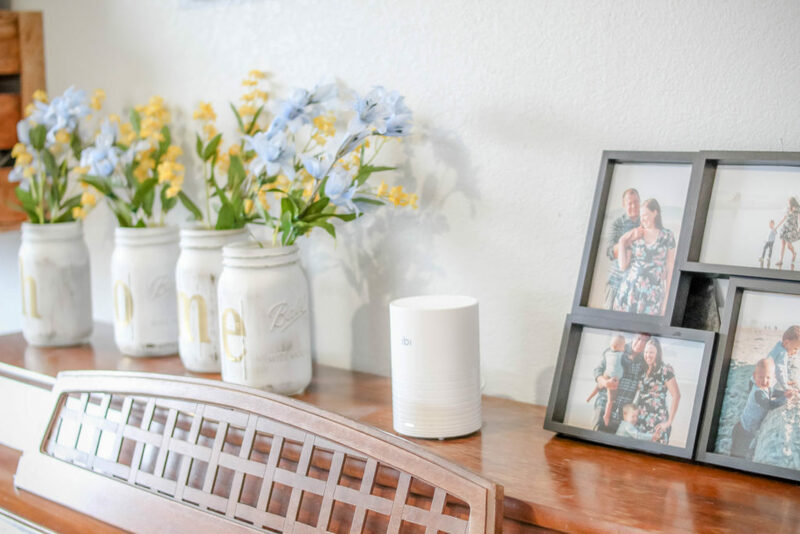 I want my home to have the culture of helping out – both parents and kids – so it’s simply the norm as my boys grow up. 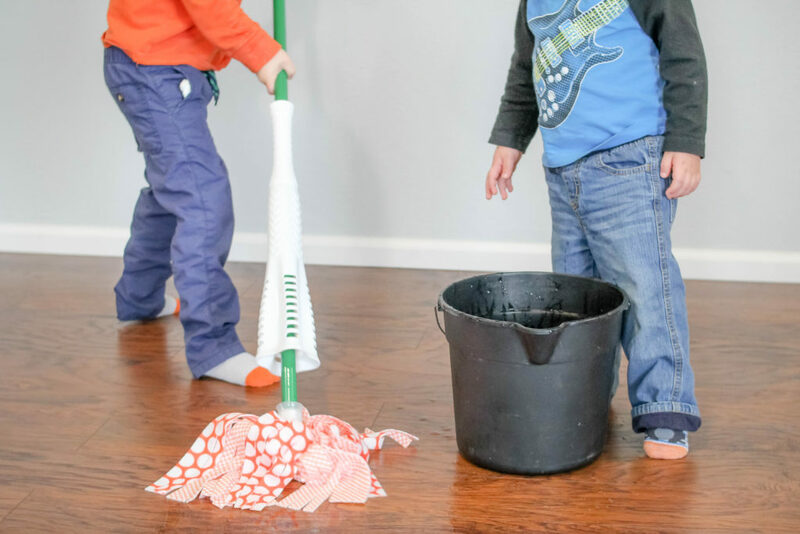 I also believe in stretching my boys and allowing them the opportunity to try to help out in ways that may not seem as though they are age appropriate chores. 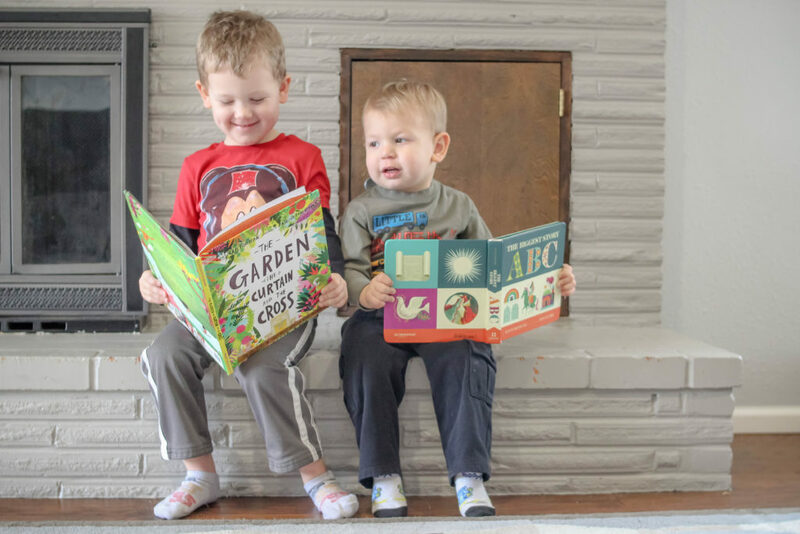 My boys constantly amaze me with the things they are able to do – long before I think they should be. This past week I was cleaning up Caleb’s crayons as Josiah followed along beside me trying to eat all of them. I thought to see if he would follow my lead and put them in the crayon bin. It took a bit of prompting but he finally did it and, once he realized that I would cheer and clap for him, he wanted to do it over and over again. Since then there have been many more times when I encourage him to help me put things away. Sure, he thinks it’s a game and it’s definitely taking more time than it would if I were doing it myself, but he’s already beginning to learn how to help out and he’s not even a year old yet. Caleb has also shocked me with his chore abilities recently! 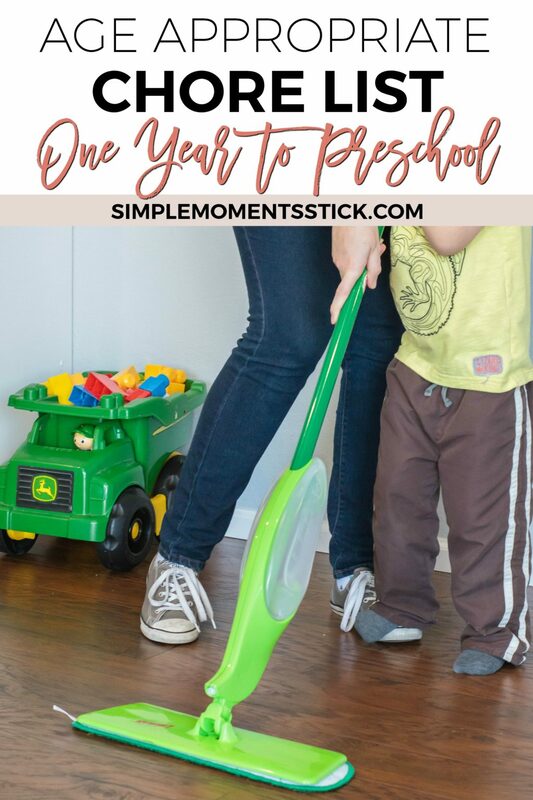 I picked up a new Libman Freedom® Spray Mop and my little three year old thought it was the coolest thing! 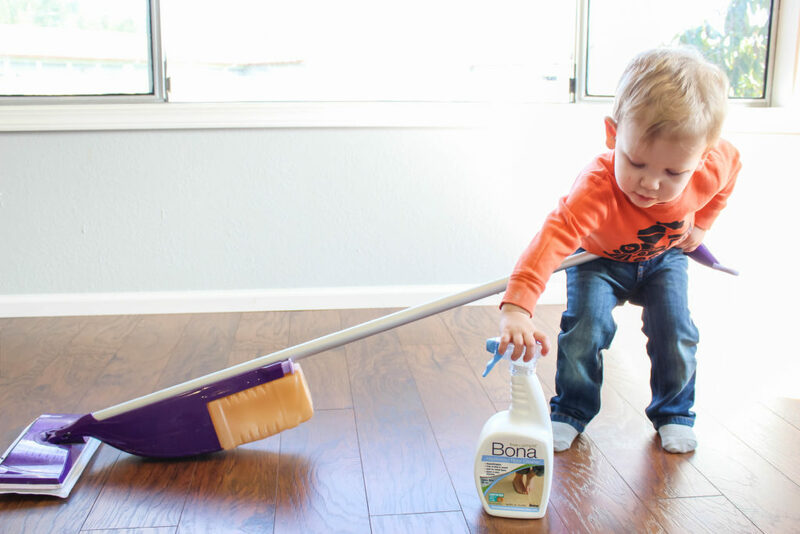 He wanted to run it all over the floor and, surprisingly, was able to get the floors moderately clean… Clean enough that I didn’t feel the need to go back and redo it! 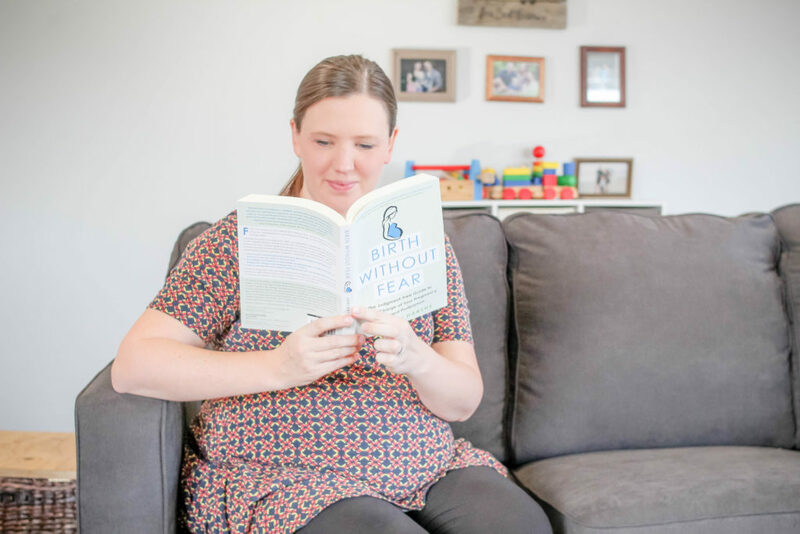 It wasn’t how I’d necessarily want it if we were having company over but it worked for me! 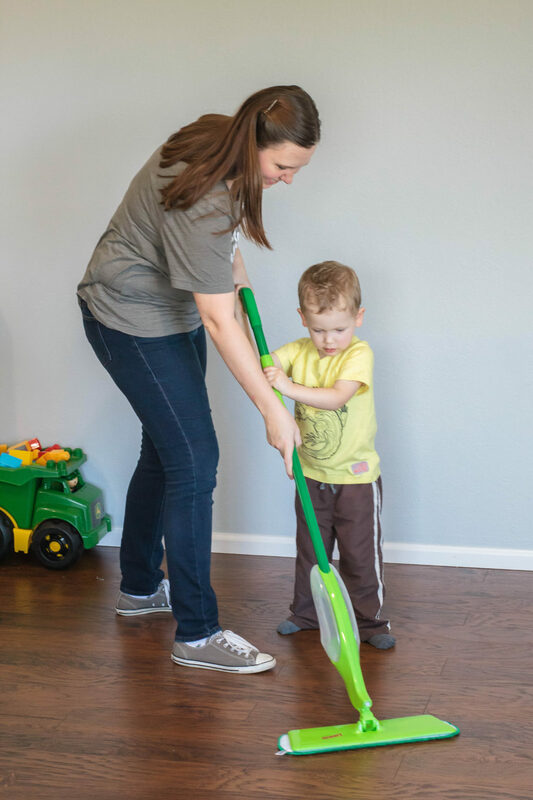 Although the mop was a little tall for a three year old, I love that it has a neck that swivels 360 degrees for extra control to reach tough spots. 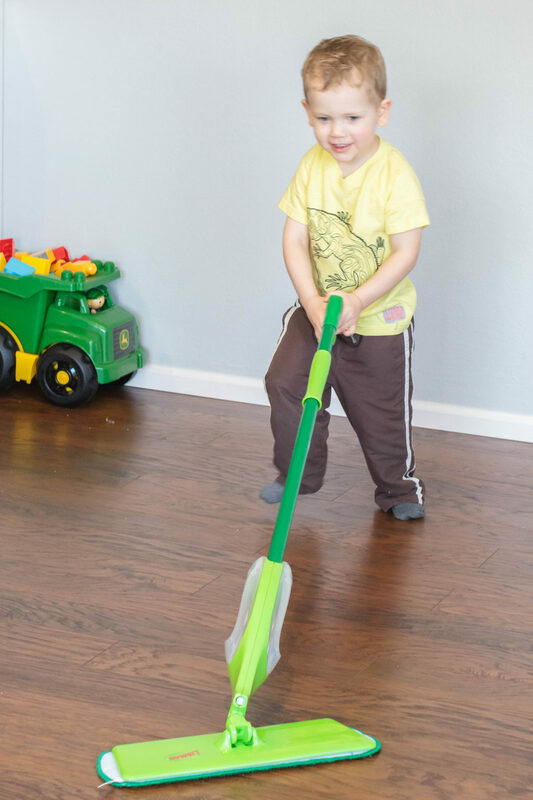 The Libman Freedom Spray Mop can clean your wood floors, laminate, tile, marble, linoleum, stone, and more!!! Best of all (in my opinion), the mop comes with a thick microfiber pad that cleans deep is machine washable up to 100 times!! 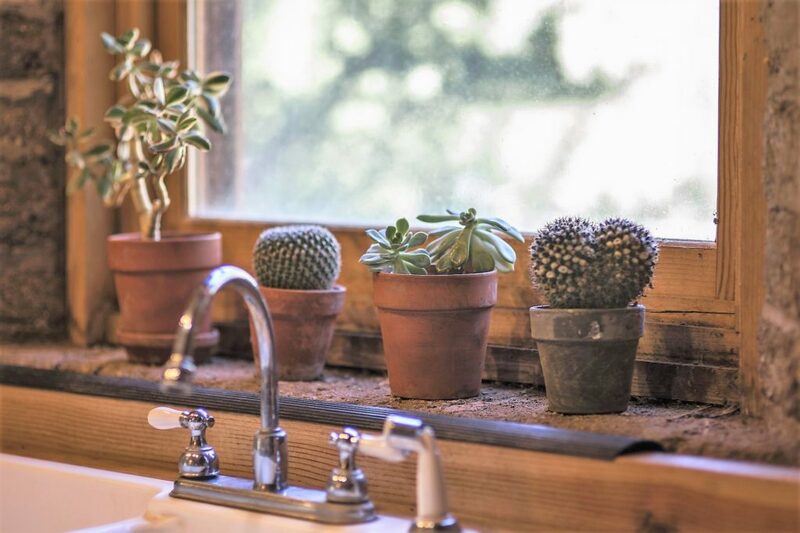 Perfect for my less waste, green cleaning loving heart! PS. If you want to get yourself one of the Libman mops, you can get $3 off by signing up for the Libman Company newsletter! 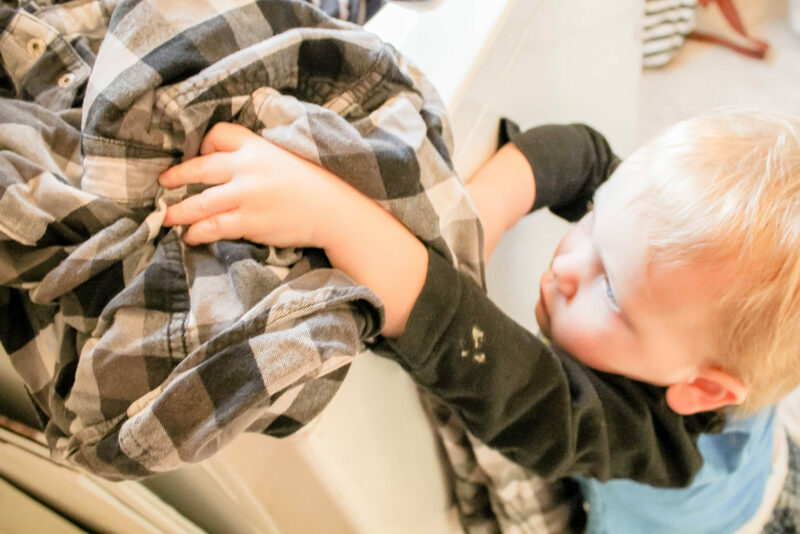 What chores do you have your kiddos doing? Do you start chores as young as I do?